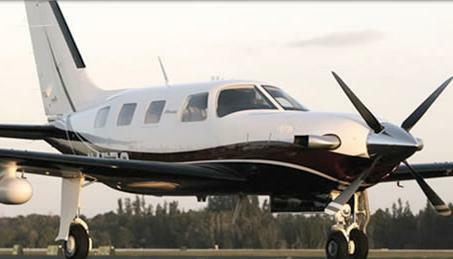 VERO BEACH, Fla., May 1, 2009 — Piper Aircraft, Inc. today announced that its owner, American Capital Ltd., has sold its 100 percent stake in the company to Imprimis in a private transaction that aims to secure the long-term success of Florida’s 72 year-old General Aviation company. Imprimis is a corporate finance and investment management firm that operates from its offices in Bangkok, Singapore and Brunei Darussalam. Imprimis intends to invest significant capital in Piper’s current operations to strengthen its position in its traditional markets and support the development of key new products such as the PiperJet. Imprimis was drawn to Piper because of the significant potential that it sees for Piper to expand its activities into new markets in Asia Pacific, which is expected to experience steady growth for two- to six-seat aircraft over the next five years, in part due to shifting demographics and increasing demand for pilot training from training schools and flying clubs (commercial and private). Outside of long-term plans for growing market share in Asia, the new shareholders are committed to keeping Piper’s headquarters, production and product development facilities in Vero Beach, Fla.
Imprimis Managing Partner Stephen W. Berger pointed to Piper’s substantial track record and respect the company enjoys within the General Aviation industry as being among the primary reasons to acquire Piper. “Piper’s capabilities, its excellent dealer family and extensive customer base, coupled with Imprimis’ capability to provide financial support, our dedication to growing the companies we invest in and our contacts within Asia provide fertile ground for Piper to expand its business in the Asian market and throughout the world,” said Berger. The Piper Matrix, based on the world-renowned Malibu Mirage, has been a leader in its segment (high-end, cabin-class unpressurized aircraft) and has delivered unprecedented sales in recent Piper history. The Matrix, which received Flying Magazine’s Editor’s Choice Award 2008, sold out its first full year of production before the first aircraft was delivered in January 2008. The Piper Meridian, Piper’s flagship, turboprop aircraft, this year relaunched with the Garmin G1000 avionics suite – essentially the brain of the aircraft – to excellent reviews. Much more than an upgraded aircraft, the Meridian with the G1000, its integrated autopilot (the GFC700) and Garmin’s Synthetic Vision Technology performs more like a business jet than a personal airplane. The PiperJet continues reaching new milestones with regularity. The PiperJet’s first flight took place last July. Since then, Piper test pilots have flown more than 150 hours and to 35,000 feet, where they assessed and in the months ahead will continue to explore the high altitude performance of the aircraft. Piper has 204 contracted orders for the PiperJet, which is more than the company had for the highly successful Piper Meridian at this point in its development. Another top priority for Imprimis was a proven track record for innovation and bringing excellent products to market, Berger said. One of three major U.S. manufacturers of general aviation aircraft, Piper currently manufactures seven models: the Warrior III, Arrow, Seminole, Seneca V, Matrix, Mirage and Meridian. The company is also developing the PiperJet. Piper Aircraft, Inc. is headquartered in Vero Beach, Fla. Piper’s rich legacy is born of 72 years of unparalleled history, with almost 150,000 aircraft brought to market and more than 160 models certified. Approximately 90,000 of those aircraft are still flying and being serviced and supported on every continent by Piper’s 65 service centers, 38 dealers and 2,500 field personnel. Piper is the only general aviation manufacturer to build and offer aircraft for every general aviation mission, from trainers and high-performance aircraft for personal and business use, to turbine powered business aircraft and now the PiperJet. Imprimis is a corporate finance and investment management firm that operates from its offices in Bangkok, Singapore and Brunei Darussalam. Imprimis (B) Sdn Bhd, an Imprimis subsidiary, is the manager of the Imprimis Strategic Investment Corporation (NBD) Sdn Bhd, an investment company that seeks to invest in companies that can contribute to the long-term diversification of the Brunei economy. American Capital is a publicly traded private equity firm and global asset manager. American Capital, both directly and through its asset management business, originates, underwrites and manages investments in middle market private equity, leveraged finance, real estate and structured products. Founded in 1986, American Capital has $14 billion in capital resources under management and 10 offices in the U.S., Europe and Asia.